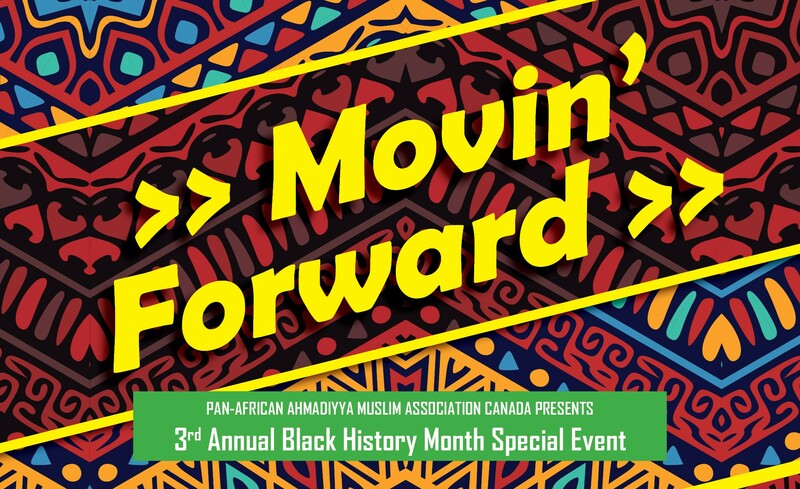 Pan-African Ahmadiyya Muslim Association Canada is pleased to presents its 3rd Annual Black History Month Special Event. This year you are invited to meet a variety of individuals and organizations that are looking to make a difference in our society. It’s an opportunity to connect with services that will help you and your families move forward towards success and peace of mind. Join us for a night of education, inspiration, direction and support!